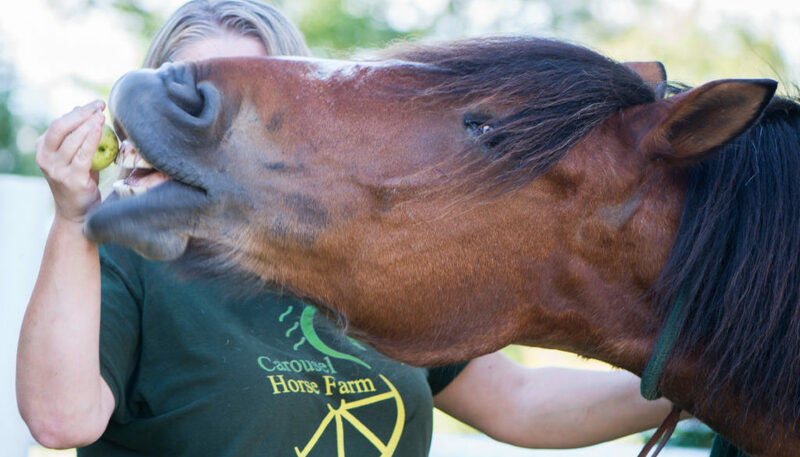 We like to do biographies of all of our horses here at the farm and now we have a new one for Melvin! Melvin is not new to the farm but we did lose him for a bit and now we’re happy to have him back home! So here is Melvin’s story. Melvin was born in June of 2002 just a few days after my grandfather died. Back then I used to go to Canada and find the nicest drafts and draft crosses to resell down here in New England. One day I found a pasture full of young draft crosses all so fat they looked pregnant, even the geldings!! Most of the horses were 2 to 4 years old but one was 5 and her name was Cookie. I bought Cookie and a 4 year old half brother of hers we named Chip. A few weeks later they arrived and Cookie got off the trailer with milk streaming down her legs!! A foal was imminent. I went back to that pasture am onth later and not another horse had foaled. We’re still not sure how it happened! My Grandpa, Melvin had been a huge support in my horse farming efforts and loved following the harness races all over the state in his retirement years. So the when Cookie had this colt just a few days after he died it seemed fitting to name him after Grandpa. He was a cute colt, a little foolish as they usually are and more inquisitive than most. As he grew he started showing signs of some stubborness and a serious lack of attention. But he was a barn favorite because of his “dog-like” personality. He stepped on many toes and pulled free of many small hands in his years growing up. Then one day on his first trail ride, he was spooked by a dog and ran all the way home. We took him out that day again and he did fine but it started a long line of bolting issues for his first few years under saddle. I thought I was going to have to sell him. But he finally came around in his fifth year and even though his mom was only 14.3 had sprouted to almost 16 hands in his sixth year. 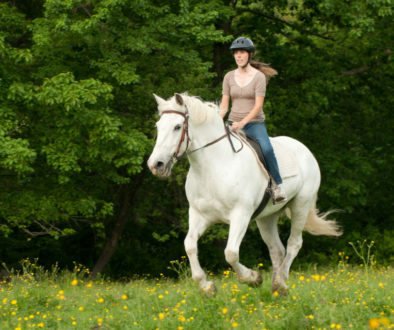 A summer camp that took horses regularly from us leased him one summer and taught him to jump. He loved it and they wanted him back so bad that they offered to buy him. Since they always sold them back to me when they were done I didn’t think a thing of it. So Melvin went to camp every summer and stayed with us every fall, winter and spring. It was a perfect situation. Lots of variety in his life, he loved kids and attention and his training continued. 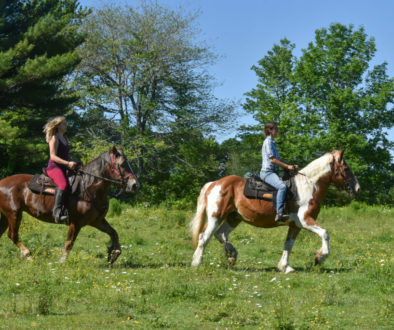 After six years with the camp and with the owner’s daughter off to college the riding program seemed to go downhill as far as the horses’ care and handling. Nothing serious, just not what it had once been. The camp horses were getting older and developing bad habits that would not go away but Melvin soldiered on. Last year the camp sent the horses to a nearby dealer to be boarded for the winter instead of here. I asked the dealer to let me know if the camp sold him since he was born here and I wanted him back. This spring I saw him advertised on Facebook and called them up to remind them of my interest. We made a trade for a mare I had up for sale and Melvin came home for good. Maybe you’ll get to ride him this year. He’s got quite a history and a great personality you’re sure to enjoy!